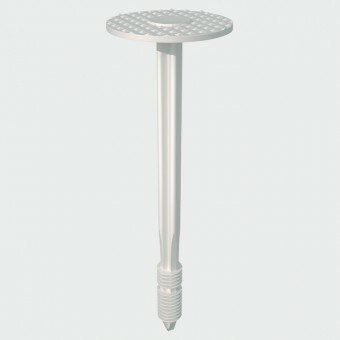 A one piece hammer in nylon fixing for fastening rigid insulation to masonry. Simply drill straight through the insulation into the masonry and hammer the fixing home. 32mm diameter head to spread the load on soft materials is standard.